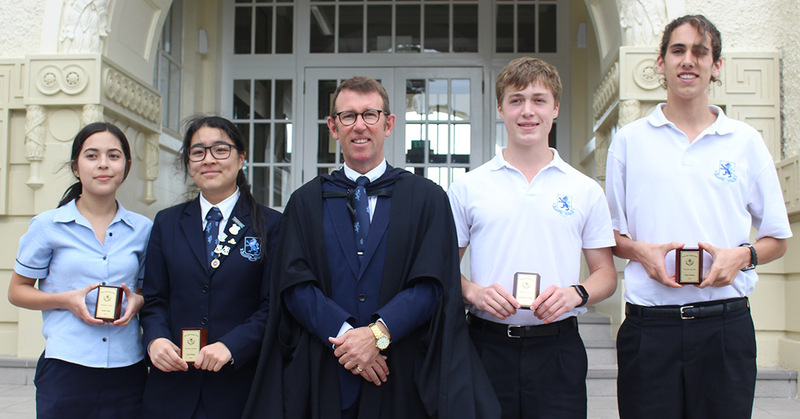 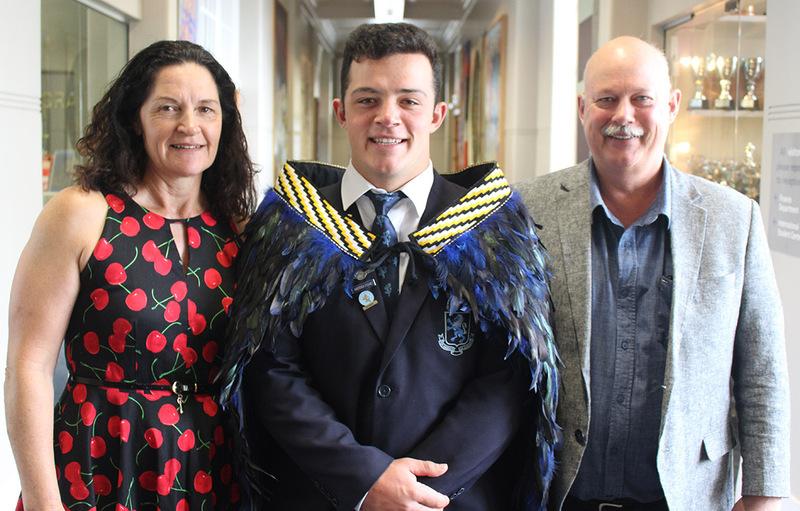 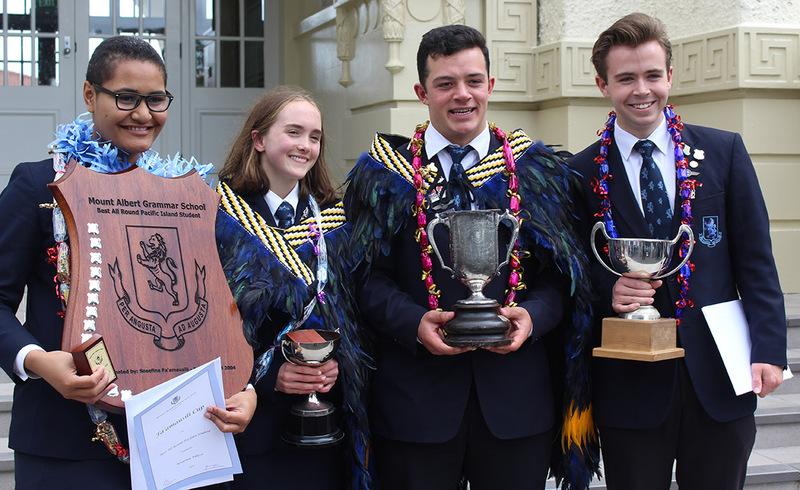 The Mount Albert Grammar School Girl Dux and Boy Dux for 2018 are Miriam Leonhardt and Gary He, pictured above with Headmaster Mr Patrick Drumm. 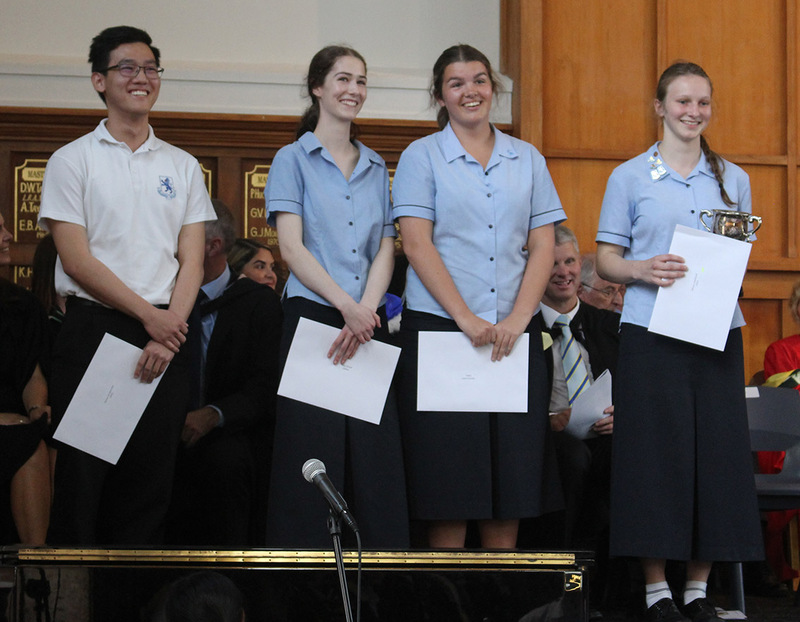 The school’s top academic students were named at MAGS’ Senior Prizegiving ceremony in the F.W. 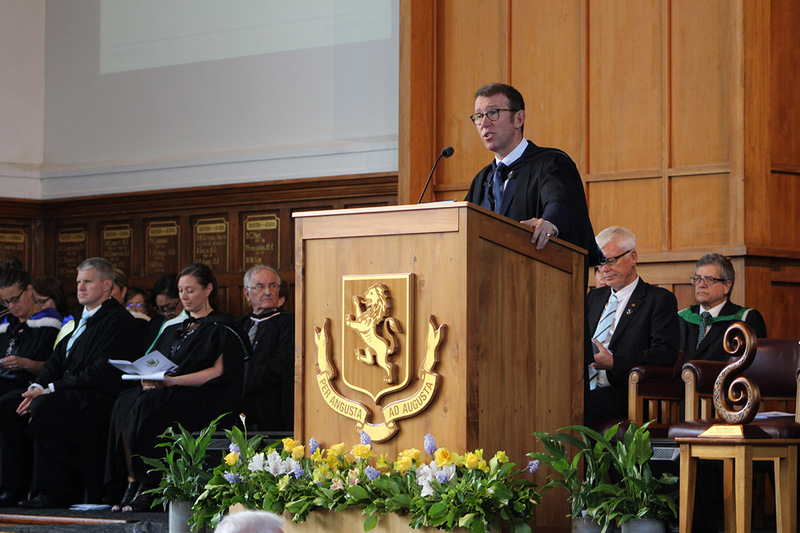 Gamble Hall on 29 October. 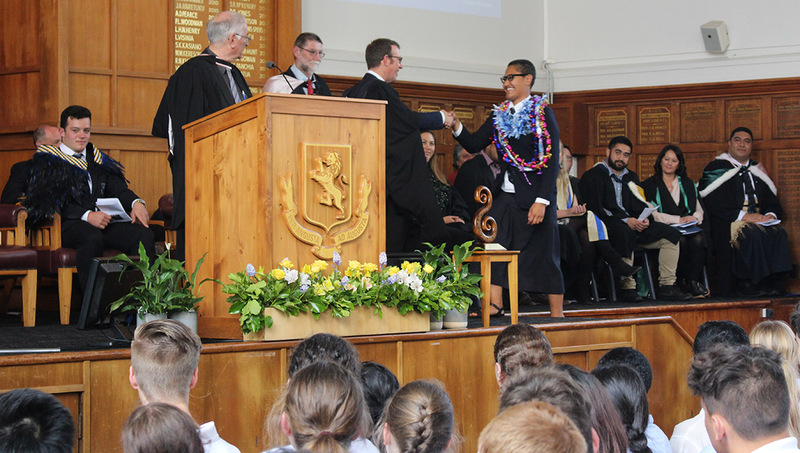 It was attended by parents, staff, members of the Board of Trustees, representatives of tertiary scholarship providers, and formerHeadmasters Mr Greg Taylor and Mr Maurice Hall. 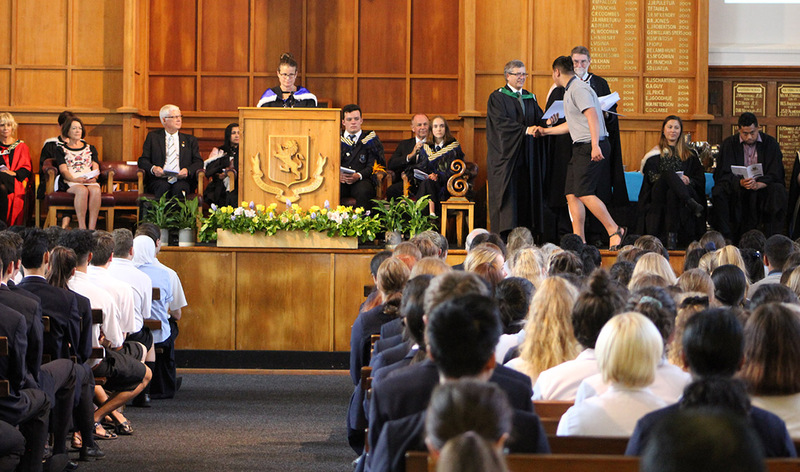 After a karakia from Matua Peter Walters, Mr Drumm opened proceedings by outlining how MAGS’ new Strategic Plan has a theme of ‘personal excellence’ and would build on the Four Pillars of the school: Academic, Sports, The Arts and Service. 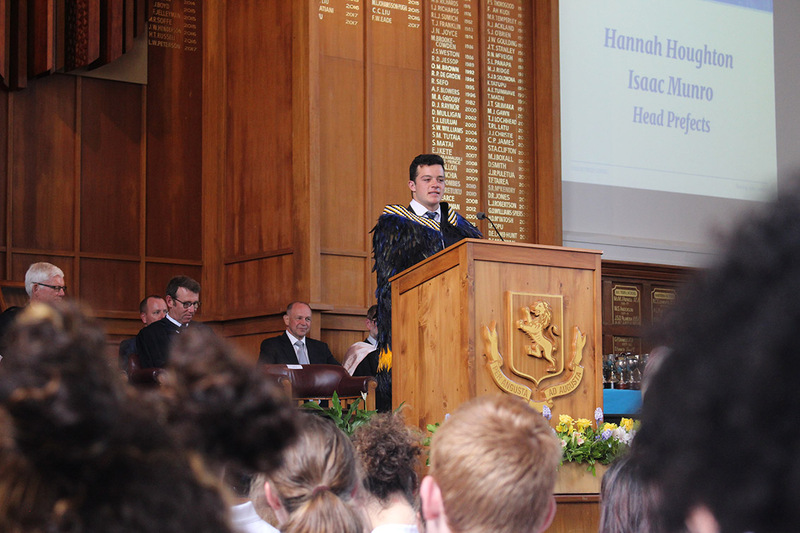 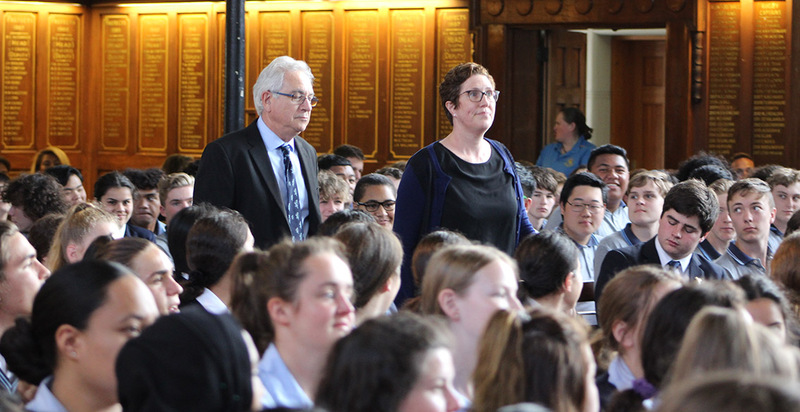 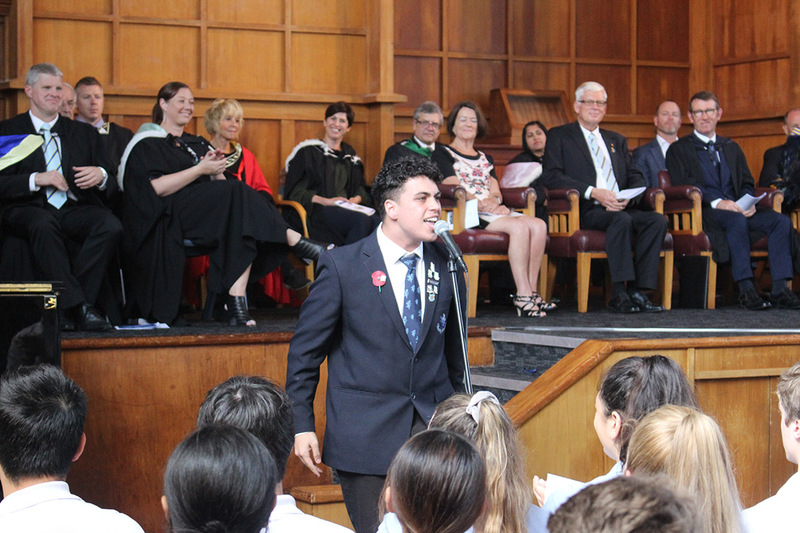 Head Prefects Hannah Houghton and Isaac Munro, who MC’ed the ceremony, gave their farewell speeches and provided humorous and at times emotional reflections on their time at MAGS. 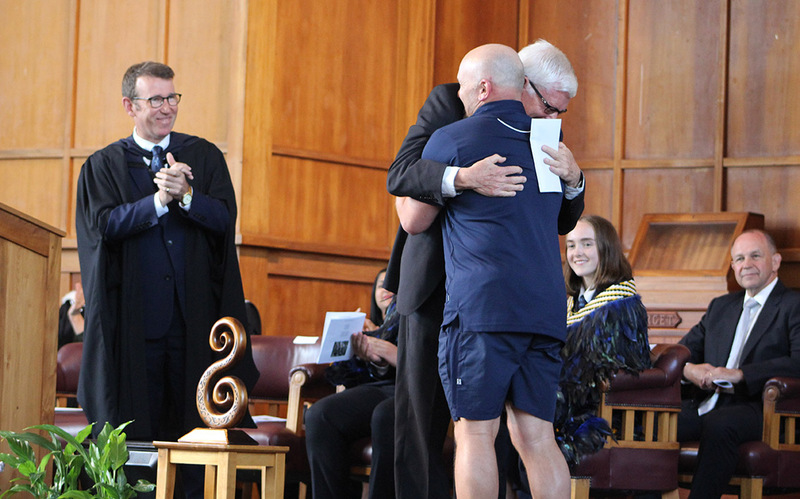 Among the tertiary scholarships awarded were two sponsored by Albertian Mr Chris Liddell, a former executive of Microsoft, General Motors and Xero and now a Chief of Staff at the White House. 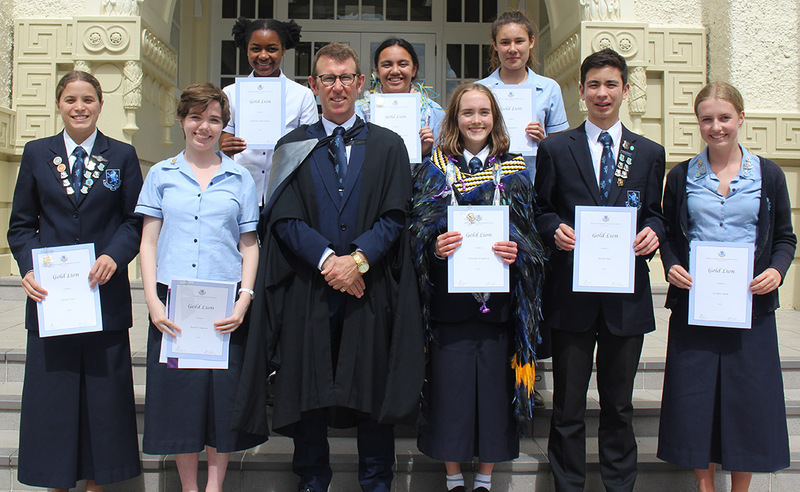 The Chris Liddell Scholarships are each worth $5000 per year for three years and are granted to students who show strong academic potential and are also good all-rounders. 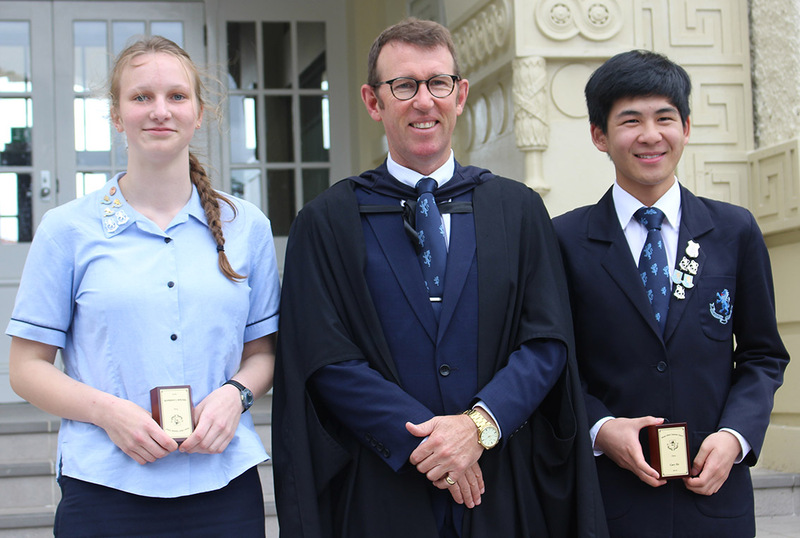 This year’s recipients were Hannah Houghton and Jonathan De Pledge, with the scholarships presented by Mr Liddell’s brother, John. 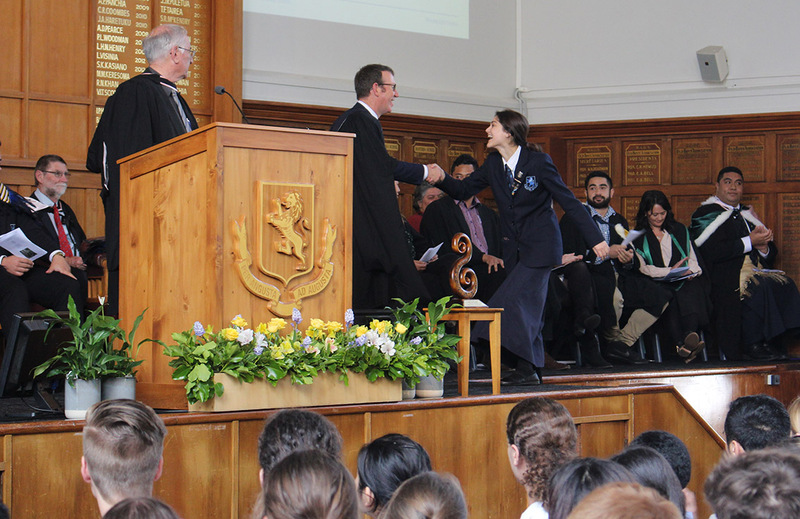 The top teaching awards were also presented. 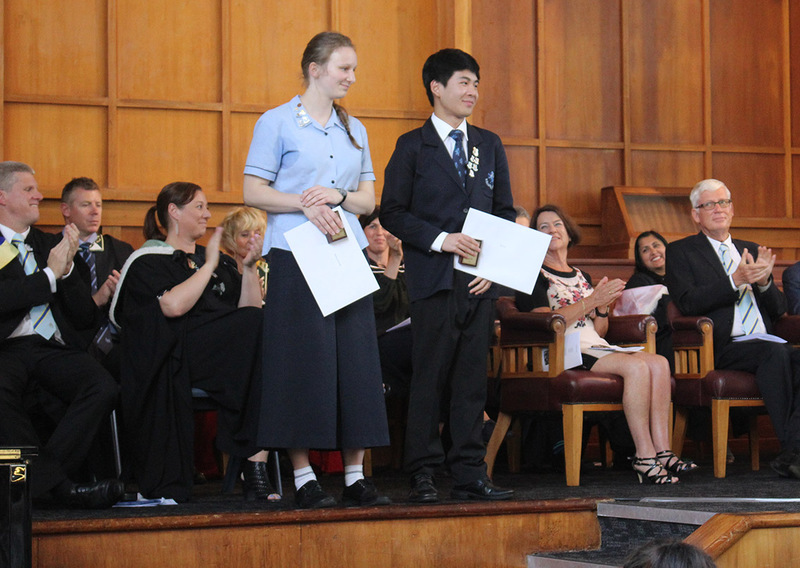 Year 9 Boys Dean Kerry Baker received the Herb Towers Travel Prize for a professional development trip overseas. 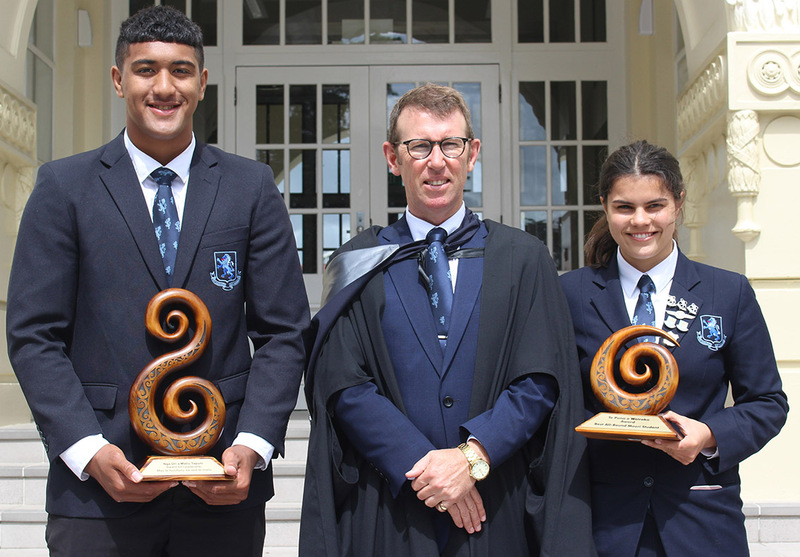 Mr Liddell also awards Teacher Scholarships worth $5000 each for excellence in teaching and contribution to the school, and these went to Olivia Markham (HoD History) and Paul McKinney (Mathematics Teacher). 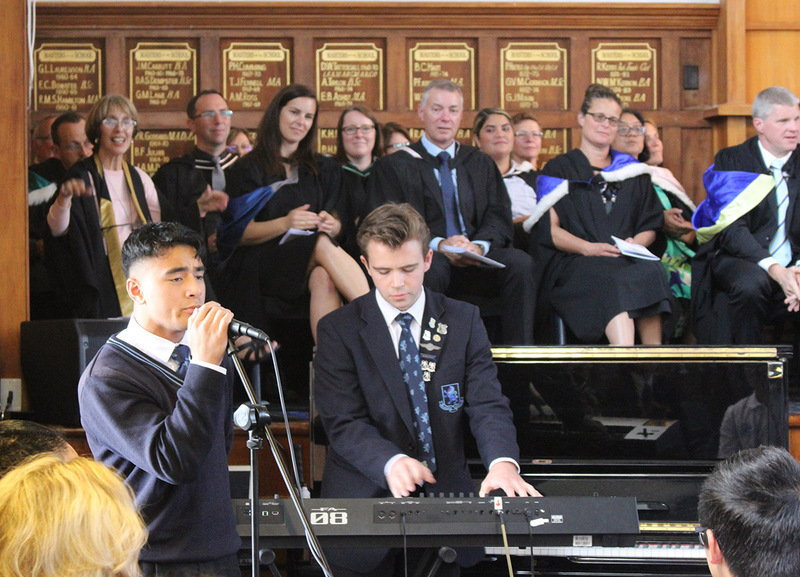 Musical interludes were provided by Nadine Hidalgo, who played a lively medley on the piano, and The Wondercats, who performed a crowd-pleasing rendition of the Michael Jackson hit Man in the Mirror.